Monticello is written by Tom Geoghegan and directed by Anthony Irons. Thomas H. Geoghegan has written six books, including Which Side Are You On? (1991), cited by the National Book Critics Circle as one of the best five non-fiction books that year. He has written for the New York Times, The Nation, Harper’s, Slate, Bloomberg View, and other publications. His latest book, Only One Thing Can Save Us: Why America Needs a New Kind of Labor Movement, was released in December 2014. In fall 1994, he was a Fellow at the Institute of Politics at Harvard University. In 2004, he was a Fellow at the American Academy in Berlin, and, in 2009, he ran in the Democratic primary for Illinois’ 5th District Congressional race. More at dsgchicago.com. Anthony Irons is an ensemble member of Congo Square Theatre Company where he directed Colored Museum, the sketch comedy, Tales from the Black Side and most recently, Hobo King. He has also performed in over a dozen productions there and has received Black Theatre Alliance and African American Arts Alliance Awards as well a Jeff nomination. He has also directed at The Second City. 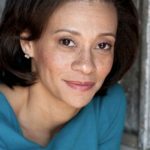 Other performance credits include the Goodman Theatre, Court Theatre, Lookingglass Theatre and The Second City. M ARTY LODGE (Thomas Jefferson) last appeared in Deathtrap at the Drury Lane Theatre. He spent many years doing theater in Washington DC at places like Arena Stage, The Shakespeare Theatre, Woolly Mammoth, the Studio Theatre, and over 35 shows at the Round House Theatre, where was an Associate Artist. He has been nominated for 4 Helen Hayes Awards. Around the country, he has worked at the Mark Taper Forum, The Old Globe, The Milwaukee Rep, and The American Repertory Theatre, among many others. He stood by for Bill Pullman in Oleanna on Broadway. A few years in Los Angeles landed him guest roles on Mad Men, Grey’s Anatomy, Criminal Minds, Private Practice, Gilmore Girls, and Boston Legal, to name a few. J EFF KURYSZ (Edgar Allan Poe) is so excited to be working with Aurora Theater Works! Other Chicago credits include: Shakespeare in Love (Chicago Shakespeare Theatre) Support Group for Men (GoodmanTheatre); Romeo and Juliet (Backroom Shakespeare Project); Julius Caesar (Brown Paper Box Co.); As You Like It, Much Ado About Nothing (The Arc Theatre); Year of the Rooster, R+J: The Vineyard (Red Theater); Romeo and Juliet (Teatro Vista); One Came Home (Lifeline Theatre); All My Sons (Eclectic Theatre Co.); Amadeus (Boho Theatre); Regional credits include: Richard III,Twelfth Night and The Tempest (Arkansas Shakespeare Theatre). Television credits include Crisis (NBC). Mr. Kurysz is a graduate of The School at Steppenwolf. C HRISTOPHER HAND (Frederic/Toussaint L’Ouverture) is delighted to be making his debut with Aurora Theater Works as Frederic/Toussaint in Monticello. 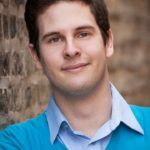 Christopher has trained intensively at Second City in Chicago. He received a theater scholarship to Tallahassee Community College, then studied theater at Florida State University. He has appeared in productions of a variety of plays, including Aesop’s Fables and The Legend of Sleepy Hollow. He is an accomplished storyteller with awards from the National Storytelling Festival in Tennessee. When he is not performing, he works as an advocate for mental illness awareness, giving speeches for the National Alliance on Mental Illness and working with survivors of abuse. G LENN GARRABRANT (Mr. Potts/Randolph) is honored to make his debut with Aurora Theater Works. He’s performed in plays such as Turtle (understudy, Redtwist Theatre), Einstein’s Gift, Muse of Fire (Genesis Theatrical Productions), Much Ado About Nothing (Midsommer Flight), When Angels Wept (New Lincoln Theatre), and more. He’s also appeared in films such as A Day in the Death (short, Happy Squirrel Films) and Bee Sting (short, HKD Productions). D USTIN ROTHBART (Poe understudy) is a native Chicagoan hailing from the north shore suburbs. He is the Co-Artistic Director of the newly formed Blank Theatre Company. 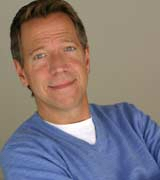 His favorite acting credits include: 25th…Spelling Bee, Funny Girl (Madkap Productions); The History Boys (Eclectic Full Contact Theatre); Buffy: Once More with Feeling (Original Cast – Jason Fleece/Mary’s Attic); Hair, Ragtime (Big Noise Theatre); Cabaret (Brightside Theatre); The Wedding (Red Theatre); Parade (Harper Ensemble Theatre); The Rocky Horror Show (Underscore Theatre Company). 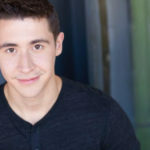 Additionally, Dustin has worked with Lifeline Theatre, Pride Films & Plays, Mary-Arrchie Theatre Co., Citadel Theatre, Benevolent Theatre, and Jedlicka Performing Arts Center. Dustin is a graduate of the acting program at Illinois State University. 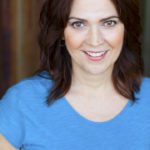 V ERONDA G. CAREY (understudy for Sally and Abby) is proud to be working with Aurora Theatre Works for the first time. 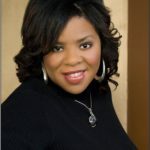 In addition to teaching and directing, her acting credits include performances at Chicago’s Steppenwolf Theatre Company, Congo Square, and the Remy Bumppo Theatre Company. Veronda would like to thank her family, friends, and members of The Collective Theatre Company for their continued support. JOS BANKS (Costumer Designer) studied Musical Theater & Costume Design at Millikin University. National Tours: HAIR (Hud), THE COLOR PURPLE (Harpo). Regional Work: Drury Lane- Oak Brook, Paramount Theatre, About Face Theatre, Porchlight Music Theatre, Windy City Playhouse, Raven Theatre, Boho Theatre, Black Ensemble Theatre, Theo Ubique, Royal George and Dutch Apple Dinner Theatre. Film: Fox 20th Centuries “The Chicago Code” & Rise Against’ music video “Make It Stop” (Lead). Jos has also interned with the incomparable Micheal Kors at Teen Vogue Magazine, in NYC & was nominated best costume designer for the 2012 & 2015/16 BTAA (Black Theater Alliance Awards). Jos would like to thank God, his family, friends and PC for their unconditional love and support. Be FEARLESS. Proverbs 3:5. Proudly represented by: Paonessa Talent Agency. JEREMIAH BARR (Prop Master) is very pleased to be working on Monticello. Some of his other props credits include Hobo King with Congo Square, Winterset with Griffin Theater, Time Stands Still with AstonRep Theater and the forth coming Shockheaded Peter with Black Button Eyes Productions. Jeremiah is member of AstonRep Theater Company and Promethean Theater Ensemble. Big thanks to the cast and crew of Monticello, and to his amazing wife Samantha. 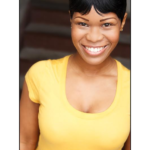 KIMELIA CARTER (Wardrobe Mistress) is a college student who lives in Chicago studying Theater arts and creative writing. She is a recent alumni of South Shore International College prep High School. She is new to Aurora Theater Works; but she has worked with the South Shore Oprea Company and Congo Square Theatre as an assistant stage manager. Who hopes to get as much experience as possible. 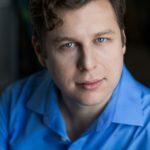 RICHARD NORWOOD (Light Designer) has designed for Trap Door Theatre, Congo Square Theatre, and for Hershey Felder Presents, and many other theatres in the Chicago area. Recent designs include Into the Empty Sky,The Resistible Rise of Arturo Ui, and Phadre for Trap Door Theatre, A Small Red Oak Tree and Twisted Melodies for Congo Square. Richard is the production manager for the theatre at the Museum of Contemporary Art. J’QKWAN SMITH (Assistance Sound Designer) is an up and comping sound engineer/designer heading into his senior year of high school at South Shore International College Prep. Also a talented artist. CARL ULAZEK (Set Designer) – Current company work includes: Tellin’ Tales Theatre (35 shows); Provision Theatre (12 shows); Bluebird Arts (6 shows). He has worked at: Black Ensemble Theatre as the resident set designer for over 50 shows (including remounts and touring productions) and garnered the Best Set Design award in 2010 from the African American Arts Alliance for Nothin’ But the Blues; Theatre at the Center in Munster, Indiana as a Lighting Designer for 10 shows; Civic Ballet of Chicago for 12 years as TD/Lighting Designer for their seasonal Nutcracker; Moraine Valley Community College as a set or lighting designer for 13 shows. He is retired from the Department of Theatre at University of Illinois at Chicago after 27 years, where he taught a required sequence of technical classes to undergraduates and was the resident technical director, set and lighting designer, having realized over 100 shows in singular or multiple capacities. He continues to cultivate and hone his craft skills in the arts at workshops and in classes offered locally (Lill Street, Hyde Park Arts Center) and at craft schools throughout the United States (Arrowmont, Corning Institute, Haystack, John C. Campbell Folk School, Penland). He has an implacable interest in materials and processes. 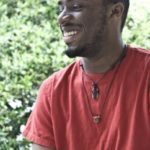 DEVONTE WASHINGTON (Sound Designer) is grateful to join Aurora Theater Works for the first time. He has worked with Shattered Globe Theater, MPAACT, Teatro Vista,Congo Square, Neapolitans in association with the Greenhouse, See Every Monster Inc., Theater Wit, Otherworld Theater, Idle Muse Theater, The Runaways lab with Pop Magic productions and MUSE 17 with Pegasus theater. As well as many events and festivals around the city. Monticello is made possible by the generous support of Ed James, Robert Lehrer, Rita McLennon, Jim McNeill and Tony Judge, and with the Actors’ Equity Association. Founded in 1999, Aurora Theatre Works, Inc., presents political theatre that entertains and informs, and is committed to exploring themes related to democracy and social justice.